Objective: Seeks to achieve long-term capital appreciation. The Fund also seeks to preserve capital in down markets. 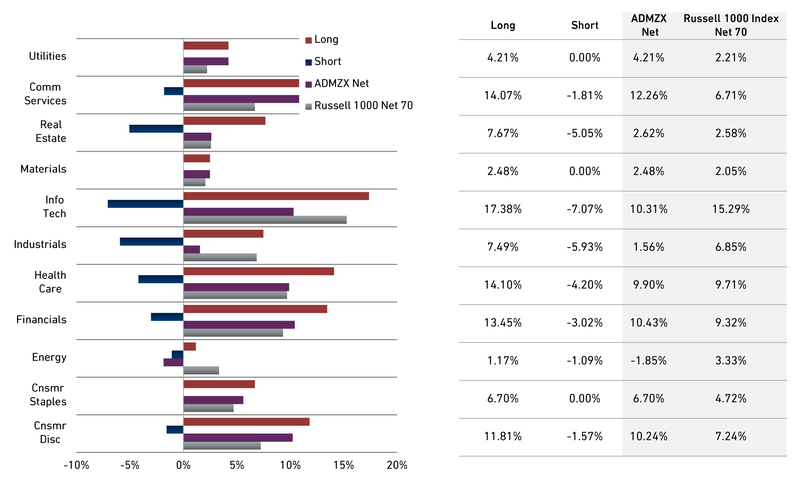 The 361 Domestic Long/Short Equity Fund, sub-advised by Analytic Investors, seeks to deliver an equity-like return with significantly less variability by investing across domestic equity markets, taking advantage of the low volatility anomaly by going long lower volatility stocks and shorting higher volatility stocks, and dynamically allocating to high predicted alpha stocks. Seeks to bolster traditional elements of a core allocation (stocks and bonds) enhancing the portfolio’s overall risk/return profile. Quantitative approach that pursues equity-like returns with significantly less volatility than the benchmark. 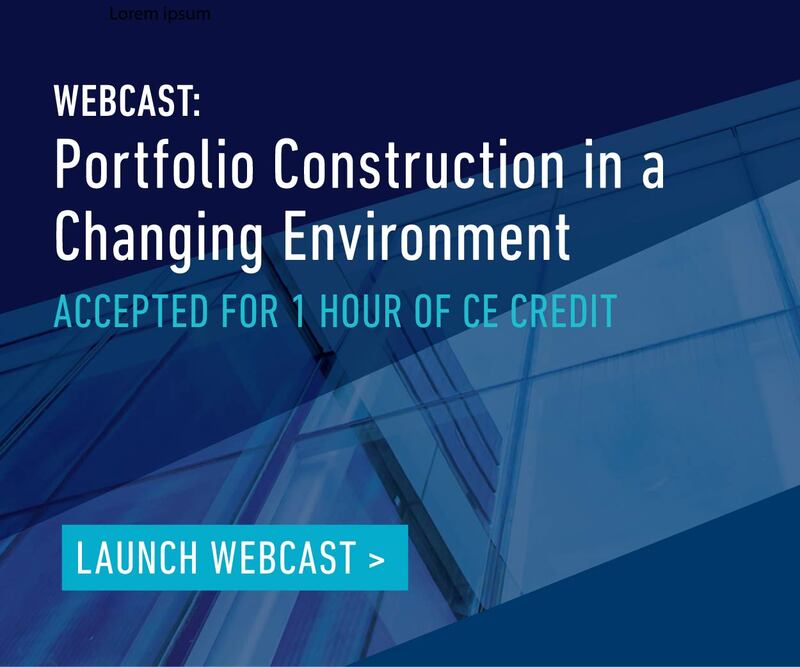 Structural elements combined with dynamic factor models seeks meaningful alpha from both long and short exposures. 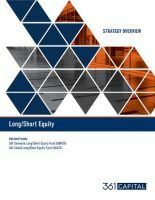 Long/short equity strategies can improve the return profile of a core portfolio and help minimize drawdowns. Risk budgeting shows the understated role alternatives can play in bringing portfolio risk back in balance. † Analytic Investors, LLC is a part of Wells Capital Management, a registered investment advisor and a wholly owned subsidiary of Wells Fargo Asset Management Holdings, LLC. Investing involves risk, including possible loss of principal. The potential loss from a short sale is theoretically unlimited since the appreciation of the underlying asset also is theoretically unlimited. Frequent trading by the Fund may reduce returns and increase the number of taxable transactions. Concentration of its portfolio in relatively few issuers may make the Fund more volatile than a diversified fund. * Returns shown over one year are annualized. Returns include the reinvestment of dividends and income. Past returns shown do not guarantee future results. Current performance may be lower or higher. Call 888-736-1227 for the latest month-end returns. Return and principal value will fluctuate so that shares, when redeemed, may be worth more or less than original cost. **2016 return is since the Fund's inception of 03/31/16. †The Adviser has contractually agreed to maintain the total annual fund operating expenses at stated levels, exclusive of certain expenses such as acquired fund expenses and dividend and interest expenses on short sales until 02/29/20. See Prospectus for additional details. Our strategy combines decades of research into the low volatility anomaly, as well as research into drivers of stock returns over time in building a portfolio that is 100% long stocks with low predicted beta/high predicted alpha stocks and is 30% short high predicted beta/low predicted alpha stocks. These two lenses of viewing stocks each provide separate contributions as far as return to the portfolio. Bull markets command attention causing investors to focus more on the gains in their portfolios, and less on the portfolio’s ability to protect, in the event of a market drawdown. The numbers are in—and stark. Is your portfolio ready?